What a vacation this has been! My family and I have been keeping busy, going on adventure after adventure. I will attempt to chronicle some of these adventures for you. I hope you enjoy the pictures and stories, and may they inspire you to live your own adventure! Nevada is a very dry state. On our way to Virginia City last Sunday, we saw a fire in the hills to the side of the road. (This could have either been in Eastern California or Nevada.) Actually, I should say that we saw smoke, because I didn't really see any flames. As shown by this helicopter, help was there to put out the fire, and I'm so glad! It's astounding how fast disaster can strike--we just never know what's going to happen from day to day. But God knows, and there is great comfort in that fact! We shouldn't let what's unknown to us keep us from living our lives to the full for the Lord. Our first full day of our trip, we headed out to Fallon Naval Air Station, where we looked through the outdoor "museum" of military aircraft. It was incredible to see all of those planes, ranging from the United States' aircraft to Russian aircraft. And hearing my dad's stories and the facts that he knew about those planes was really neat. My dad's whole life has been quite the adventure! After Fallon, we went to Grimes Point, where we walked for a little while along a trail of rocks with Native American petroglyphs. While the sights on the ground were intriguing, it was the sights in the air that really grabbed our attention. There was quite a storm heading towards us from both directions, it seemed! We saw lightning, heard thunder in the distance, and felt the rush of the wind. It sure added to the mysterious effect of the place, though! And of course I had to share a picture of one of our favorite signs! Every time we went by this place, we had to say loudly, "Chocolate!" We stopped at this candy shop twice, which is located between Carson City and Virginia City. From sponge candy to taffy--this place had a great selection! Yummy! Our second full day her e, we got a tour of an archaeological dig up on Mount Davidson, above the town of Virginia City. The picture on the left shows some of the places where they had been digging, layer by layer, hoping to uncover artifacts from some of the Cornish miners who had lived up there during Virginia City's heyday. Everybody there was very patient and friendly! They wanted the public to be aware of what they were doing up there, in order to educate others. Isn't that a splendid idea? Thursday found us at Lake Tahoe, which is a really busy and crowded place! But the lake is beautiful, and so big! What a grand example of God's lovely creation. The water is very clear and very blue; it looks almost exotic in some places. We enjoyed just taking in the scenery, but we also enjoyed a little fun . . .
by playing miniature g olf! There were three different courses at the place we went to, so of course we did the "Grizzly" course--the hardest one. ;) I confess that I didn't do so well, but at least it was entertaining! That's me to the left, getting ready to swing at the ball (and hope it would actually go in the hole eventually!). All of the courses were so cute, and the place was kept up nicely. Lots of fun for sure! Today (Friday) we went on a train trip from Carson City to Virginia City (and then back again). Again, God's creation was a blessing to see as it went past the train window! And the history of these places--it's just amazing! This picture is one my daddy took of me as the train was rolling down the tracks. My dad was sitting behind me, and I confess it was getting a bit annoying to see a camera suddenly sneak into my view through the window, but oh, well. My dad got his picture! While we were waiting in Virginia City, we saw the Wild West show (corny but cute) and we rode the TNT Stagelines for the third year in a row! We have so much fun with the stagecoach driver and his wife--they're very friendly and quite a hoot! ;) And what a ride! It's a thrill to sit in that stage and see the desert hills pass around you as you're being jostled and bounced like crazy! If you ever get a chance to ride the stagecoach, don't pass it up. Click HERE if you would like more information about the TNT Stagelines. And Leisa (pictured with us above) has been so nice in answering our questions and taking the time to share some of the Inn's history with us. She's so sweet, and just sitting and talking with her on the beautiful patio area near the building we're staying in has been more than wonderful. I highly recommend this place! Overall, our adventures have been fantastic! And reading A Hopeful Heart this week was great timing. (If you'd like to read my review of this great book, click HERE.) It's wonderful to have the reminder that God has a plan for our lives and that He is working for our best throughout time and history. I love the saying that history is "His story" because it is so true! God is in control, and He has written His story for each of our lives. Learning about the past helps us remember how God has worked to bring about the present, and it gives us comfort to know He will work these present times into a hopeful and known future. Thanks for joining me on my adventures! "Can she turn her second-best chance into a golden opportunity? Dowryless and desperate, Tressa Neill applies to the inaugural class of Wyatt Herdsman School in Barnett, Kansas. The school's one-of-a-kind program teaches young women from the East the skills needed to become a rancher--or the wife of one. But will Tressa have what it takes to survive Hattie Wyatt's hands-on instruction in skills such as milking a cow, branding a calf, and cooking up a mess of grub for hungry ranch hands? Abel Samms wants nothing to do with the passel of potential brides his neighbor brought to town. He was smitten with an eastern girl once--and he got his heart broken. But there's something about quiet Tressa and her bumbling ways that makes him take notice. When trouble strikes, will Abel risk his life--and his heart--to help this eastern girl?" This book is wonderful all the way around! The story caused me to think deeply about spiritual truths, and I was encouraged by the hope that Tressa, Abel, and other characters found in the Lord. The secondary characters were real (even the cat, Izzy-B)--either very misguided, very intriguing, or very sweet. And Aunt Hattie's story, including the help and inspiration she offers to Tressa and the other girls throughout the book, is great! The romance in this book was beautiful. I was drawn into the suspenseful moments, and I confess to looking ahead sometimes because I was just so excited about what would be coming up next! I loved seeing the growth that happened for Tressa and Abel, and there were some moments in the book that really made my stomach flutter due to Abel's protection of Tressa. The ending is more than satisfying, and the message that is set up by the title and the verse at the beginning of the book is powerful and lasting. I love it when there are many elements to a story, but also one guiding message that is emphasized throughout the book--and A Hopeful Heart really touched me in that regard. I'll say it again: this book is wonderful all the way around! The outfits were so colorful, the lighting was beautiful, and the music--spectacular! It was so thrilling to hear all of those wonderful "Oldies" and seeing all of the great dance numbers. After being in our school's musical (State Fair) last fall semester, I think I have an even greater appreciation for the coordination and time it takes to put a show together. I cannot even imagine how much work went into getting this show ready, and how much work it takes each night for them to keep up such an amazing level of energy! My parents and I continually remarked on that. This show is packed with energy! The lady I sat next to was a lot of fun, and we all had a great time clapping, singing, and occasionally dancing along with the music. I love those songs, from the music of Chuck Barry to Elvis Presley, and so much more! This definitely was a memorable night for my family, and I'm so glad we had a chance to go to this together. The place was really "shaking" with excitement tonight! In June the Humboldt Area Foundation dedicated a bench to my grandpa for all of his work on the nature trail not far from his home in Eureka, California. The plaque says, "In honor of William 'Bill' Odonnell: A great friend to the community and the Humboldt Area Foundation." The bench is beautiful--made of redwood and located in a lovely meadow. I have been so blessed to live close to my grandparents for practically my whole life, and my grandpa is not only sweet and funny, but he is a wonderful example of a dedicated, hard-working, and godly man. It was an honor for me to give a short speech at the dedication of the bench, and how fun to see how surprised my grandpa was! Anyway, I'm sharing this with you now because my grandpa was featured in an article in our local newspaper (Times-Standard) recently, and some of my quotes are in the article, as well. If you would like to read the article, click HERE. It's called "A bench for Bill." I'm so glad the Humboldt Area Foundation did this for my grandpa--he's done so much for the community, and I'm so proud of him! Thank you to my grandpa, all those who have helped work on the nature trail, and the Humboldt Area Foundation! That nature trail holds a lot of wonderful memories for me. Following is the piece I entered for the WOW! Women on Writing Flash Fiction Contest. Since I haven't heard a response from them (and the winners were supposed to be contacted by now), I don't think I placed. But I thought I would share the story with my readers anyway. "WOW! hosts a (quarterly) writing contest every three months. The mission of this contest is to inspire creativity, communication, and well-rewarded recognition to contestants. The contest is open globally; age is of no matter; and entries must be in English. We are open to all styles of writing, although we do encourage you to take a close look at our guest judge for the season (upper right hand corner) and the flavor of our sponsor, if you are serious about winning. We love creativity, originality, and light-hearted reads. That's not to say that our guest judge will feel the same... so go wild! Express yourself, and most of all, let's have some fun!" The entries can be anywhere from 250 to 750 words, and the prompt is open. It's a fun contest, and the Summer deadline isn't until August 31 if ya'll would like to enter! For more information, click HERE. It was no big deal, really. That’s what I told myself. It was only a hat. I would never wear it again, would I? Tears stung my eyes as I saw what was left of our family, gathered in my mother’s house. My deceased mother’s house. That hat sat on a table behind the lawyer. Who would get that beautifully ugly hat? With its big ostrich feather and its bright purple color, I couldn’t really imagine my mother wearing it. She had never worn it any time I could remember. But she had let me wear it. I loved those memories of playing dress-up with my mother so long ago, parading around the bedroom like I was Audrey Hepburn. That’s who Mom said I looked like with my auburn hair, oval, innocent face, and thin frame. I was innocent then. With Mom gone, I felt the experience of her death made me old. I glanced around the room. Surely, no one else would want that hat. No one would think it desirable. In fact, half of the ladies in the room would simply give it the Salvation Army. Of that I was certain. But when it came time to decide who would get that hat, seeing as how it was not important enough to be mentioned in the will, I was not the only one who expressed interest. My older sister, Barbara, wanted that hat, too. Why in the name of Rex Harrison would my sister want that hat?! Lucille must have been too young to remember how Mama used to take me on picnics in the park. Mama had always let me wear that hat, and how I loved it! No one could convince me that I didn’t look like the queen bee when I wore that hat! And Mama always said I looked so stylish . . . But Lu was just a baby then. She couldn’t remember. She didn’t know how Mama would let me wear that hat as we sat and watched My Fair Lady together. That was before Lu was even born. There was a spot on my night stand waiting for that hat. I would place it on a green pillow, and it would remind me of how caring my dear Mama was. She understood me. I glanced over at my sister. Tears were in her eyes. I lowered my head. What did I know, really? What memories had Mama and Lucille made together when I left home to further my studies? I was the older sister, and I could see that while she couldn’t remember my memories with Mama, I could imagine hers. It broke my heart, but before the lawyer could begin to settle what everyone was sure was a coming dispute (not the first one today), I went over, picked up that hat, and handed it to Lu. Surprise shone in her tears. I breathed deeply of Mama’s perfume that lingered in the room. And I shared a smile with Lu. She searched my eyes. I knew she understood. It was the memories that counted. And we both had equal share of those. "The award-winning Blood Rose trilogy continues in a bold romance of the Old West by the author of Pieces of Sky. 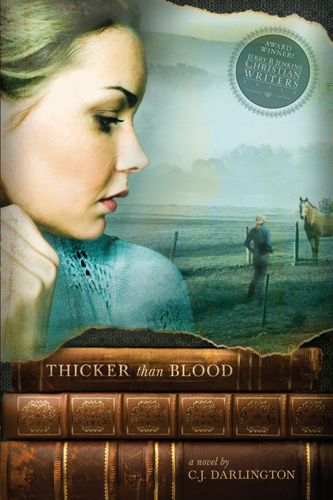 From a "truly original new voice in historical fiction"* (New York Times bestselling author Jodi Thomas) comes the second novel in a passionate new saga of the three Wilkins brothers, living and loving on the dangerous American frontier. It's a tale of unlikely romance in an unforgiving land, where the greatest reward awaits those with the will to overcome all obstacles." While I'm giving this book a review, I must say that I didn't actually finish this book (which is why I won't give it a rating). There were a couple of reasons why I gave up on the book, which I would like to share with you. First of all, there are a lot of swear words in this book. Several characters were taking the Lord's name in vain, and there were a couple of other swear words that were used rather frequently. Second, there were a couple of inappropriate/unnecessary scenes that I came across in just the first part of the book. That being said, I was really intrigued by the characters and the plot. Warner's writing is engaging, and I appreciated the action that drew me into the story right away. However, I feel that there is a way to handle gritty emotions and real situations with authenticity without dragging the reader through the gutter, so to speak. I would cite author Julie Lessman as an example of how someone can tactfully handle "edgy" situations. I "met" Kaki Warner on Seekerville, so when I saw this book of hers at Borders a while ago, I decided to give it a try. And while I think from what I read that her writing is good, I did not enjoy her use of language and inappropriate scenes, so I cannot recommend it. Hello from Virginia City, Nevada! I'm on another family vacation in one of my favorite places to visit. We're staying at a Bed & Breakfast, and I have a lovely view of the town and the surrounding hillsides. I love the atmosphere here, the people, the sights to see . . . everything! It's so good to be here again! You may recognize the name of this place from the TV show Bonanza (or you might also recognize the name if you love the history of the Old West like me!). This ghost town and tourist trap is chock full of history, and I'm more than happy to immerse myself in it once again! --"You threw off my groove!" --"I'm sorry, but you've thrown off the Emperor's groove." Wednesday, Thursday, Friday, and/or Saturday: These days will be reserved for book and movie reviews, college news, etc. This sort of schedule will be implemented more frequently during the school year, but don't worry! I'm still hoping to have plenty of special-themed weeks, too, particularly around various holidays. And there might also be some fun, random weeks that will surprise you, too! Grooves are good, but ruts are not. Here's a description from Amazon.com: "Arnold Schwarzenegger stars as an undercover cop posing as a kindergarten teacher in order to catch a dangerous criminal. Once he wrangles his young charges, as well as the affections of a beautiful teacher (Penelope Ann Miller), he prepares for a final showdown with his intended prey in this "Totally enjoyable" (Ralph Novak, People Magazine) action-comedy from director Ivan Reitman." The current "governator" of California can be rather fun to watch in movies! I enjoyed his performance in this movie, and there were certainly some cute parts in the story. (The movie focuses a lot, after all, on a kindergarten class!) However, there were a lot of parts in this movie that I didn't like. For example, the movie includes language, violence, and some crude references. There is also a "bedroom" scene, where Schwarzenegger walks in on his work partner and her fiancee. Nothing is really shown, but it's still an awkward and rather inappropriate moment. Overall, while there were some funny lines and a sweet romance within this movie (and I thought the principal was hilarious! ), I just didn't really get into it and was turned off by some of the more negative aspects of the movie. I can't say for sure how each one of you would enjoy it, but I would recommend it only for adults who are looking for an interesting escape with a little bit of comedy. 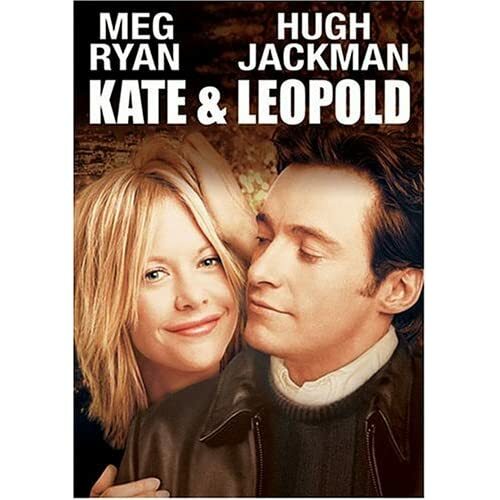 Here's a description from Amazon.com: "Meg Ryan (YOU'VE GOT MAIL) and Hugh Jackman (X-MEN) are paired as star-crossed lovers who discover that passion and chivalry never go out of style! When a rip in time brings together a charming 19th century bachelor and a thoroughly 21st century woman, the potential for an old-fashioned modern romance ignites! Also starring Breckin Meyer (ROAD TRIP) and Liev Schreiber (SCREAM 3)." While there are many humorous moments throughout the movie, especially imagining what it would be like for someone from the past to actually experience the modern world, there were also some great concepts and messages touched on during the story. For example, the definition of integrity and its importance is addressed, and it really reminded me of how many ways there are to sidestep the truth. How important it is to remain in God's Word and evaluate every decision we make! And another message of the movie deals with the desires of our hearts. Do we work at what we love, or do we settle for a job that will simply provide money but not fulfillment? We all have a purpose, and this idea reminds me of a well-known quote which says, "Don't spend so much time making a living that you forget to make a life." This life is so short, and what really matters is what is done for God's eternal glory. From thoughts on "the pretzel of time" and how inconceivable it is, to the simple beauty of a timeless romance story, I found myself enthralled with this movie! Several characters really captured my heart, and I enjoyed time-traveling with them. I must say that there is some language in this movie, as well as scenes with people drinking alcohol, but other than that it was great and I really recommend it for all you romantics-at-heart out there! Both deep and witty, I think this is a movie worth watching again and again! "Christy Williams finally has her life on track. She’s putting her past behind her and working hard to build a career as an antiquarian book buyer. But things begin to unravel when a stolen Hemingway first edition is found in her possession, framing her for a crime she didn’t commit. With no one to turn to, she yearns for her estranged younger sister, May, whom she abandoned after their parents’ untimely deaths. Soon, Christy’s fleeing from her shattered dreams, her ex-boyfriend, and God. Could May’s Triple Cross Ranch be the safe haven she’s searching for? Will the sisters realize that each possesses what the other desperately needs before it’s too late? A stunning debut from the latest Christian Writers Guild winner." This whole book was intriguing and certainly no fairytale story! I really appreciated the authenticity of the story, from Christy's problems with smoking and alcohol, to details about buying and selling rare books (for which the author has experience to draw from!). I loved seeing the changes in Christy's and May's lives as the story developed, and I enjoyed the uniqueness of the plot. 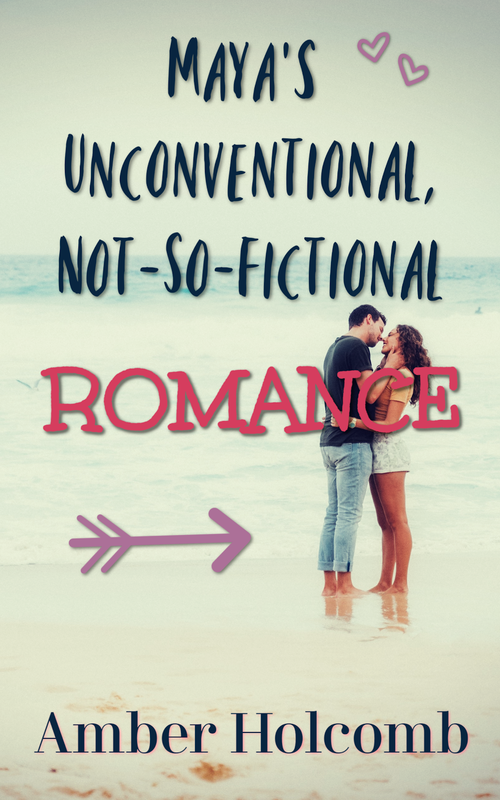 While there really wasn't much "romance," which I really love in books, I still felt drawn in to the book and moved by the raw emotions found within the pages. The secondary characters were real, and I really liked getting to know Hunter, Beth, Jim, and Ruth especially. There are some hard topics to read about in this book, but overall the message is uplifting and inspiring. If you're looking for a story about redemption and reconciliation that's well-written and a little bit different, than this book is for you! Winners and New Blog Ideas! Quick Note: For Julie Lessman's giveaway, those who didn't leave an e-mail address (if I did not already know the e-mail address of the person) were not entered in the drawing. I apologize if I didn't make it more clear, but I'll try to clarify more in the future. As for the other drawings, I'm getting kind of confused on who wants to be entered or not, so in future drawings I'll try to remember to only enter those who say they want to be entered and leave their e-mail addresses. Again, I'm so sorry for the confusion! Also, I used Random.org's List Randomizer when picking the winners for these drawings. The winner of her choice of one of Julie Lessman's books is . . . The winner of the "Christmas in July" Giveaway is . . . The winner of my 100th Post Giveaway is . . . Thank you so much to all of you for your comments and for visiting my blog! The post with Julie Lessman's interview garnered the most comments I've ever had on one post! I'm so grateful for your enthusiasm. Now, for the other part of this post! I've been thinking a lot about having my own weekly posts (ones that are repeated every week according to the theme of that day). So I've come up with a list of potential ideas that I would love to hear your thoughts on! Sundays by the Sea: The ocean is a beautiful and mysterious part of God's creation, and I have been blessed to live close to the Pacific Ocean my whole life. For "Sundays by the Sea" I would post devotional thoughts inspired by the sea, drawing from my own experiences and from movies/books which are set on the sea. True Love Tuesdays: This is for the romantic at heart! On "True Love Tuesdays" we would discuss examples of true love from books, movies, and real life. This would also be an opportunity to share romantic quotes,along with recommendations for clean romantic books and movies. Winter Wednesdays: To go along with the title and purpose of this blog, "Winter Wednesdays" would be an opportunity to share encouraging thoughts with each other for those times when we're in the winter of our "Seasons of Humility." We all could use some support and comfort for the hard times, as well as reminders of God's sovereignty and plan for our lives. Travel Thursdays: This would be an opportunity to share where we've traveled in real life, or where we've traveled through the pages of a book. There's much to learn about different places in this vast world, so "Travel Thursdays" would be a fun way to find out more about those places! Furry Friends Fridays: Many of us are the proud owners of adorable pets! "Furry Friends Fridays" would be days set aside to share fun anecdotes about our four-legged friends. And while I'm at college, I'll either be able to share about the creatures I see on the nature trail or elsewhere on campus, or I could share some of my cute memories of my own pets (from the past and the present!). Sharing a Smile Saturdays: I've actually implemented this one several times already, so I can continue this if everybody likes it! "Sharing a Smile Saturdays" are meant to make you laugh or at least smile, and the posts can be about jokes, funny college stories, or practically anything that's smile-worthy! I thank you again for taking the time to look through this and share your thoughts! Have a wonderful weekend! One tradition I have loved in the past is the Christmas Eve Candlelight Service. The time of fellowship at church is wonderful, spending time in God's Word and reminding ourselves of what Christmas is really all about. What I especially love is the image presented when the candles are lit. It all starts with the one bright candle, up in front for all to see. The flame of that one candle lights the first couple of candles, and then that flame is shared until the whole room is shining with the light of many candles. "There was a man sent from God, whose name was John. The same came for a witness, to bear witness of the Light, that all men through him might believe. He was not the Light, but was sent to bear witness of that Light. That was the true Light, which lighteth every man that cometh into the world. He was in the world, and the world was made by him, and the world knew him not. He came unto his own, and his own received him not. But as many as received him, to them gave he power to become the sons of God, even to them that believe on his name: which were born, not of blood, nor of the will of the flesh, nor of the will of man, but of God." Jesus was the Light that came to offer us grace and bring us hope by believing in Him. May we share the light we have been given with others. We did not create the flame--for Jesus Himself is the true Light--but may the Lord use us to pass it along. May the glow of many candles come before God! Today we're going to talk about the well-loved and beautiful tradition of . . . the Christmas tree! From setting up the tree, to decorating it, to simply admiring it, the Christmas tree is a gorgeous symbol of cheer, growth, family, and celebration. Our family actually has an artificial tree. (The tree pictured at left is my grandparents' tree, and that's my beautiful mother standing next to it!) There are some really great points to having an artificial tree, including the fact that it's far less of a mess! It lasts much longer, and there's not much of a chance of it housing a squirrel (for those of you who have seen Christmas Vacation!). But I can definitely see the good points to having a real tree. For example, it seems that there's a whole grand experience involved in picking out a tree that is lost when one has an artificial tree. And then I'm sure there's an earthy, fresh fragrance that comes with having a real tree, as well. So, does your family have an artificial tree or a real tree for a Christmas tree? And what do you like about whichever one you have? What kind of ornaments do you have on your Christmas tree? And do you collect Hallmark ornaments? That's my grandpa! ;) This is only really funny if you've seen A Christmas Story, so I hope these pictures elicit a smile and/or laugh for those of you who have! And one more thing. Yes, I have a different blog background again! I'm just wondering if it's too dark for "Summer," or too blue. What do you think? Thanks for putting up with my randomness today, and I'm curious to hear about your Christmas tree memories! Today is my 100th post! Thank you to my wonderful family for their support and to you--my dear blogging friends--for making my blogging experience marvelous so far! If it is the Lord's will, may the next hundred (or more!) 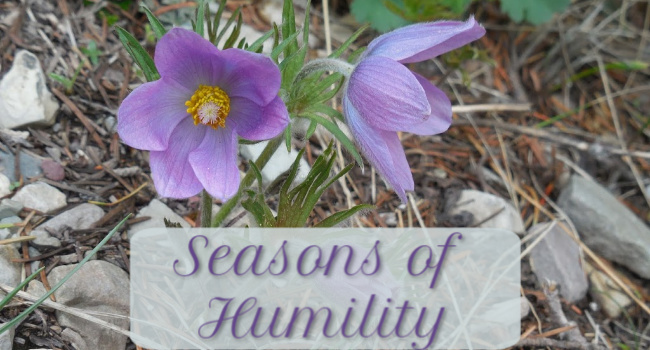 posts be an encouragement to you as we continue on through these "Seasons of Humility." The picture above is actually a New Year's picture, but we keep the Christmas decorations up for a while after Christmas at our home! Today's Christmas tradition topic is . . . food! And then there's Christmas Eve dinner. Last year we went out to dinner at this beautiful restaurant called The Sunset. It has a gorgeous view, and a lovely interior (pictured at right). No matter where you are, if family and good food are involved, it's sure to be a wonderful time! And Christmas dinner is always a festive affair! I love eating a fantastic home-cooked meal as everyone is gathered around the dining room table. Do you go out to dinner on either Christmas or Christmas Eve, or do you have both meals at home? And do you have a traditional main course for either of the meals? For instance, we usually have ham for Christmas dinner. Yum! Click HERE to see this recipe book on Amazon.com. Winner will be announced on Saturday, July 24. Thank you all again for making my first 100 posts so fun! A fun Christmas tradition that takes on many different forms and is completed in many different ways is . . . decorating! Decorations lend a feeling of celebration to the season, and they can be so much fun to put up! Take, for example, my dorm room this last year at college. My roommate and I had a great time tacking a garland above the window, putting lights and little figurines around the room, and adding general merriment to our living space. 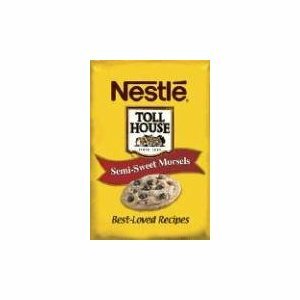 (See picture above.) My parents sent decorations for practically every holiday, so our dorm room tended to be quite festive throughout the year! And I just love how my mom decorates our home for Christmas! Inside and out, it is a beautiful sight! From our four stockings (and one for the cat, too!) hanging in the living room, to the gorgeous Christmas tree, to little scenes set up on tables and cabinets . . . our home is always decked out for the holidays. Now, my uncle and my grandparents go all out, too. My uncle sets up the outside of the house like something right out of Christmas Vacation (well, almost! ), and my grandma sets up the inside as a cozy haven for our family, with lots of miniatures, including a Dickens village over the fireplace! Decorations help us set apart holidays and special occasions from day to day life. Just seeing any kind of decorations gives us a thrill because we know that something out of the ordinary is occurring. Decorations are so much fun! But even though there are certain days set apart from others, when we are saved by the Lord, we have so much to celebrate every day! How blessed we are! As we celebrate this day God has given us, let's talk about some of our favorite Christmas decorations! Would anybody like to share some Christmas decorating memories, as well? Merry Christmas . . . in July! Now my guess is that it won't be a white Christmas for most of us, since it is summer, but I hope that it will be a wonderful time for all of us anyway! This week will be centered on various Christmas traditions. But before I tell you about the tradition we'll be discussing today, I want to let you know about the giveaways this week! The Christmas-themed giveaway will be going on all week. All you have to do to enter is leave a comment on this post with your valid e-mail address. Leave a comment on this post with your e-mail address. This is a requirement in order to be entered into the drawing. Winners will be announced on Saturday, July 24. Now, would you like to know what the giveaway is for? =) The Christmas-themed giveaway will include a set of Hallmark "Jingling Holiday Bells Salt & Pepper Shakers" (courtesy of my mom!) and a gently used hardcover copy of The Christmas Secret by Donna VanLiere. These can be set aside for a few months until Christmas, or you can have your own Christmas in July at home! There will also be another book giveaway this week if I can get two more followers! I would love to have 50 followers by my 100th post (which is scheduled for Wednesday). So spread the word, and if I can reach 50 followers by then, I'll do another book giveaway! I'm sure there are many others that I haven't listed that are great Christmas movies, as well! There are so many funny movies, and there are some really touching ones (like The Christmas Shoes, which is a real tear-jerker!). And Jingle All the Way is especially neat for those of us who have Arnold Schwarzenegger for a "governator" (if only for a little longer!). Also, I simply adore The Polar Express, which is very well done, in my opinion! I would love to hear about some of those Christmas movies you watch every year!
" Has she fallen in love with a man who cannot love her back? Elizabeth O'Connor has been like the little sister John Brady always wanted, sharing his love of literature and his thirst for God. But in the throes of the reckless Roaring Twenties, Lizzie has grown up. Suddenly she wants more from the man who has been her friend since she was a child. When this shy little bookworm blossoms into a beautiful young woman bent on loving John, she discovers that his past won't let him return that love. But Lizzie refuses to give up--until his shocking secrets push her away. Can true love survive the betrayal and deceitful of a painful past . . . or will it be shattered like the fairy-tale dreams of a girl in love? Brimming with romance, longing, and redemption, A Passion Denied, will quicken your pulse and gladden your heart with a riveting story of the true power of love." Julie's characters are so real that her books sweep you away to another time and place! The pain, the broken hope, and the passion of this story allows the reader to truly sympathize with the characters and want the best for them. And as a reader of Christian romance, I couldn't help but feel a connection with Lizzie and her desires for true love. But one of the many lessons of this book demonstrates a valuable point: only God is perfect, and we must learn to forgive and love as we have been forgiven and loved by God. No husband or wife can ever fully satisfy his or her spouse, because only God can truly fulfill us. That being said, though, this book also acts as a reminder of how wonderful relationships--whether between lovers, family, or friends--can be when the people in them seek after God. Julie does a fantastic job of creating a family that readers cheer for and feel a connection to. While I confess that this is not my favorite Julie Lessman book, especially with how hard it is to read about "a passion denied" over and over again, this definitely is a powerful story that makes me want to read even more about this family and about the romance that awaits the younger siblings. 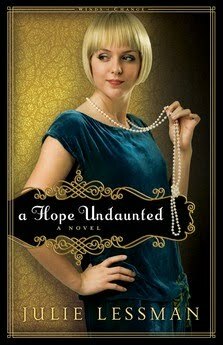 This is a great bridge between the end of one series and the beginning of another, and I am most eager to read Katie's story in A Hope Undaunted! Note: As some of you know by now, I am back home from Washington D.C.! We spent most of Friday on various planes, but we made it back safe and sound. =) Thank you all for keeping up with my dad and I and taking the time to read the posts and leave comments. I really appreciate it! Another Note: "Christmas in July" is about to start! Be looking for some giveaways, and turn on that holiday music to get in the mood for some yuletide cheer in the summer! "Above and beyond the call of duty." This is what the government, and two people in particular, did for me and my family. They went "above and beyond the call of duty," and we will be forever grateful to them for their service to us and to our country in general. I cannot begin to express my thankfulness to them both, and especially to Sergeant Davis for not only being an amazing example to me, but also for being an amazing friend. And now for you, my readers, I have one request to make. If you have not already done so, please look at all of my posts for this trip to Washington D.C. (Go to the Labels section in the sidebar, click "Washington D.C.," and start reading the posts from the bottom, working your way up.) It will take some time, but these are some of the most important posts I have ever (or will ever) put together on this blog, particularly those posts with the videos. Thank you for going "above and beyond the call of duty." Your sacrifices will be remembered forever. Labels: sacrifice, thank you, United States military, Washington D.C.
Thursday afternoon was quite the experience! Let me tell you something, though--if you ever go to Washington D.C. and you want to see the Smithsonian, there's no possible way you can see much of anything in one afternoon! I'd say you would need at least a day for each building to truly appreciate it. I could not believe how HUGE the buildings were! Despite the short amount of time we had, my dad and I were bound and determined to see two of the museums: The Air and Space Museum (my dad pictured with the sign above left) and The Museum of American History (me in front of the building pictured right). My dad and I joked about how we needed to see two things before we left Washington D.C.: "The Spirit of St. Louis" (the plane Charles Lindbergh flew across the Atlantic Ocean) and Dorothy's red slippers from The Wizard of Oz. My dad wanted to see the former and I wanted to see the latter. Well, as you can see by the pictures below, we did what we set out to do! I've used this word a lot when describing any part of the trip, but it is so fitting: "overwhelming." That's what it was like walking into the museums, especially the Air and Space Museum. There was SO much to see and do, that all we could really do was look around, eat at the largest and strangest McDonald's in the world (in my opinion! ), snap a few pictures, and buy a few souvenirs at a gift shop. You would not believe the sheer size of these buildings! Labels: Dortothy's slippers, the Metro, The Smithsonian, The Spirit of St. Louis, Washington D.C. I have no words to tell you what the service at Arlington National Cemetery was like. Even now as I write this, tears are coming to my eyes. I put together another video to try and capture some of the experience, which I hope will convey even just a little of the emotion of this morning. The love, the service, and the honor shown this day will never be forgotten. Labels: Arlington National Cemetery, Washington D.C.
How can I describe in words what I can barely comprehend myself? As I was standing in front of the Lincoln Memorial, I was in awe that I was actually there. In just a short amount of time I have felt blessed by God to not only see some amazing sights with family, but also to be reminded of the great sacrifices many have made for our freedom. Following are a few of the spectacular sights we saw today, and after that will be my thoughts on the Visitation Service tonight, along with a video I put together to try to capture the feelings I had when seeing the war memorials. Enjoy! The Washington Monument is a thrill to see, no matter what angle! Quite a few of my pictures ended up including this monument. This is at the base of the Washington Monument. It was encircled by numerous United States flags. Isn't it beautiful? The Lincoln Memorial . . . simply breathtaking! Lots of steps and lots of people (and lots of wetness from the rain), but what a view from where Lincoln sits! The reflecting pool looks like a bridge (in this view) from the Washington Monument to the Lincoln Memorial (which is where I was standing while taking this picture). What an incredible sight! And of course I had to include a picture of the White House! I didn't get very close (as you can see from this picture), but it was neat to see it in the distance just the same! After we returned from seeing these great sights, we rested (well, technically I worked on stuff for this blog! ), ate a group dinner at the hotel, and then we met to go to Murphy Funeral Home for the Visitation Service. And wow--talk about moving! Hearing about the lives of those seven men, including my great uncle, was both wonderful and deeply touching. My great uncle was only in his early twenties when he died, and seeing him and some of the other members of his squadron in pictures was hard. He was so young! But I do know this: they died for a noble cause. We were privileged to hear from a couple of the men who were part of the group my great uncle was bringing supplies to when the plane crashed. It brought me to tears to hear them say that my great uncle was on his way to help preserve lives when his own was lost. These were real men, loved and missed by their families, and honored by the country they served. And being reminded of the stories of these men encouraged me even more to write, because if it's God's will I want to share stories that will be real . . . stories that God can use in a real way. This following video shows pictures of memorials that honor these great men and so many others who gave their all for those of us who don't appreciate their efforts nearly as much as we ought. How can we ever show enough gratitude to those who paid the ultimate price? How can we ever show enough gratitude to their loved ones who let them go? And how can we ever even come close to showing enough gratitude to God--who sent His own Son to die for us, offering us a chance to go home and truly be free? Labels: Cherryholmes, ultimate sacrifice, visitation service, war memorials, Washington D.C.